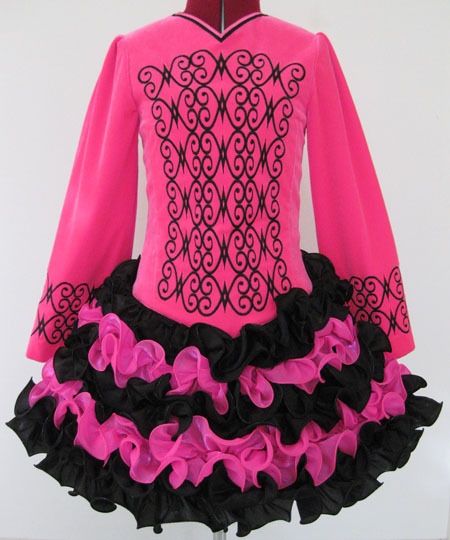 Dropped waist at seam: 31"
Centre front dropped waist to hem: 11"
Centre back neck to dropped waist: 17"
Centre back dropped waist to hem: 12½"
Total back length (top of zipper to hem): 29½"
Fluoro pink lightweight velvet bodice and sleeves, with black feminine embroidery design. 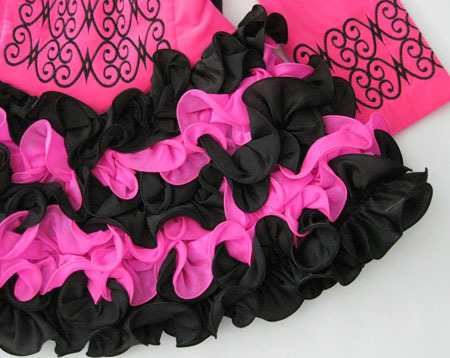 Adorable cupcake skirt ruffles constructed from black and fluoro pink twinkle satin with tone-on-tone trim. 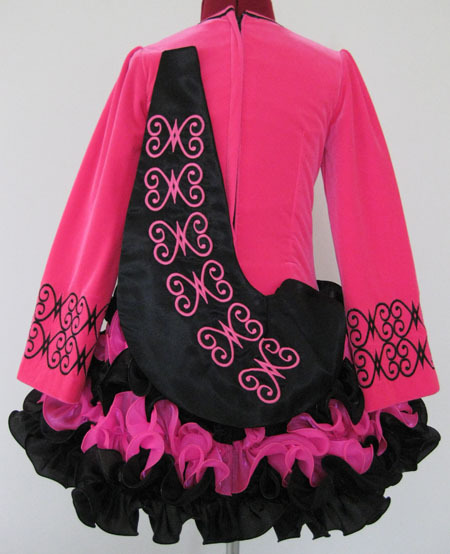 Black satin soft style shawl with pink embroidery.